This luminous ball is very pure and very graphic. 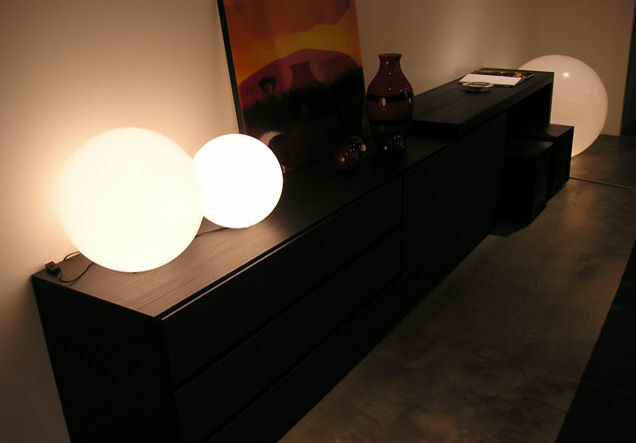 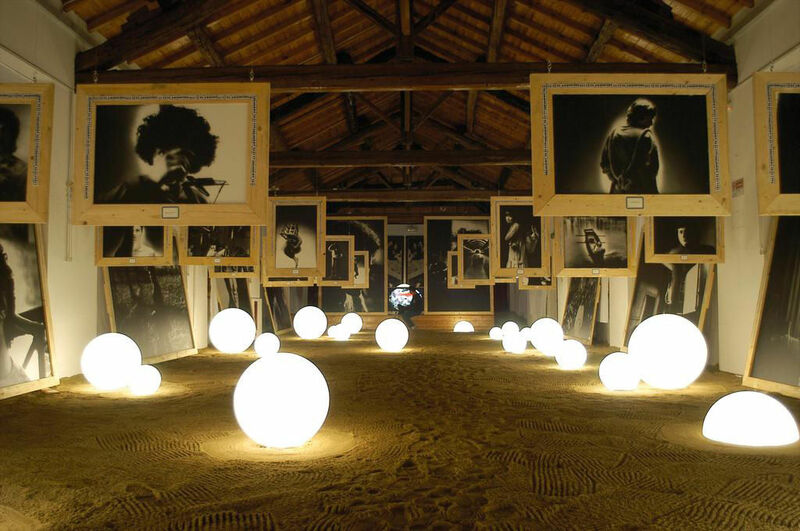 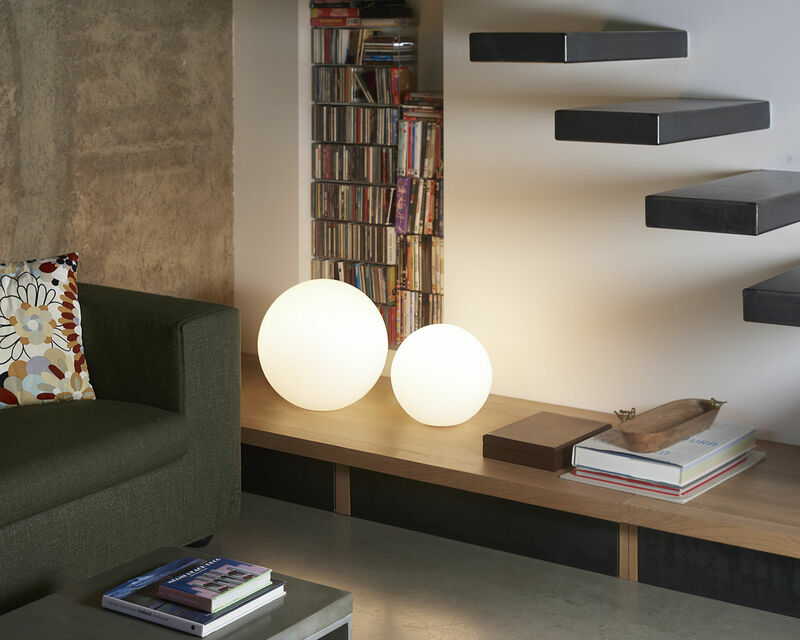 Globo can be used indoor, for a modern ambiance in your room or living room... 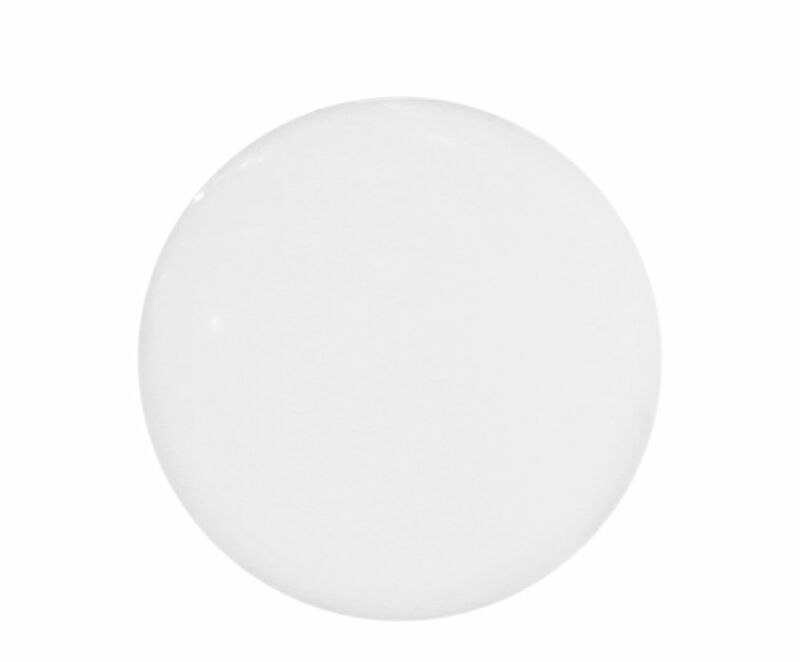 The spherical diffuser made of polyethylen gives a sensual light. 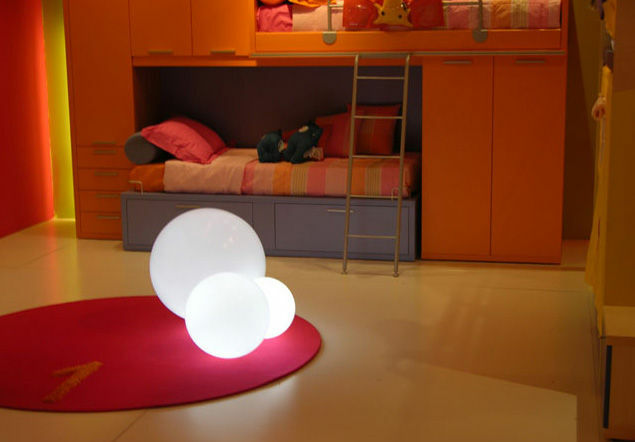 You can change the atmosphere as you like and get a coloured lighting, putting a coloured bulb inside.